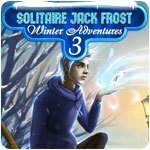 Solitaire Jack Frost Winter Adventures 3 - Download and Play Free Version! 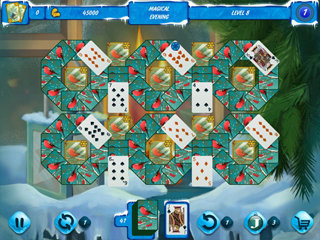 Chill out with Solitaire Jack Frost! Good ol' Jack Frost continues his mission of giving the gift of joy and happiness to all around. This time he's chosen a little girl who forgot how to dream, promising to give her back her faith in magic, fairytales and adventure! Watch Jack and his frosty powers bring the Holiday spirit to life! Just for you he made 200 brand new winter layouts. 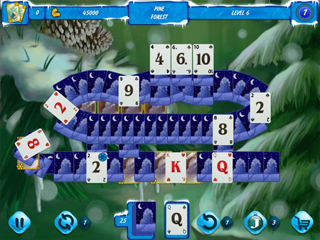 Only true solitare experts can unfreeze all the cards and join in Jack Frost's merry fun!